pojemność: e 330 ml | 11,16 fl.oz. Our Birch tar shampoo is developed for all who have hair with dandruff. 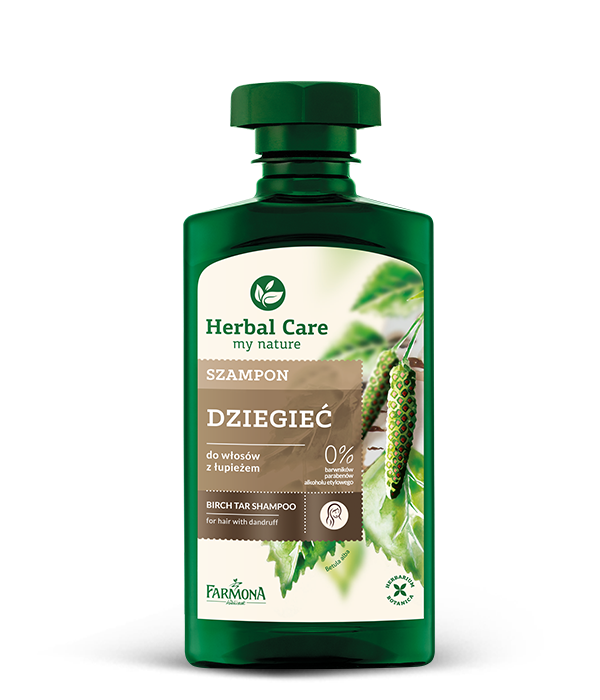 We composed it with valued for centuries natural plant ingredients which effectively fight dandruff, eliminate its causes and regulate sebum secretion, minimizing oiliness of hair. Day by day hair become fresh, clean, with no dandruff. Creating this formula, we used all our experience and rich herbiculture traditions, so we are confident about the results. 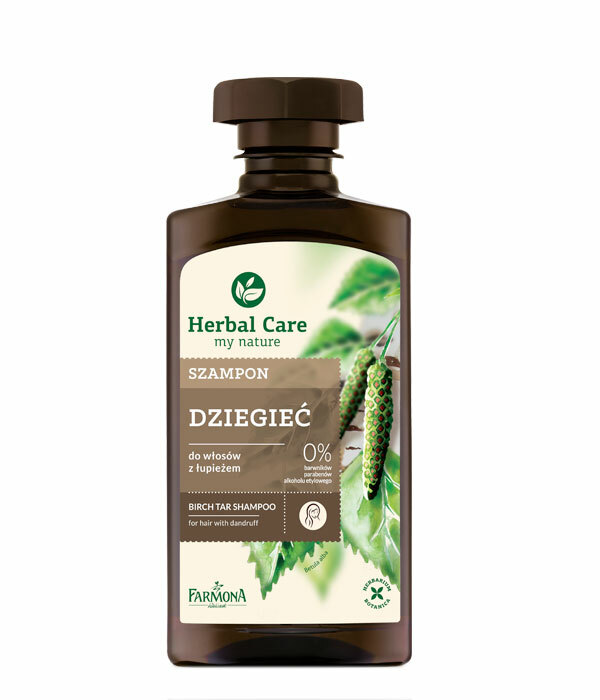 Gently massage Shampoo into wet hair and scalp. Leave for 3-5 minutes. Rinse thoroughly with water and then apply Herbal Care hair conditioner. Important: herbal extracts can cause precipitation of sediment and turbidity. Shake the bottle before use. Aqua (Water), Sodium Laureth Sulfate, Cocamidopropyl Betaine, Sodium Cocoamphoacetate, Piroctone Olamine, Starch Hydroxypropyltrimonium Chloride, Urea, Sodium Lactate, Inulin, Polyquaternium-10, Zinc PCA, Betula Alba Oil, Tar Oil, Potassium Sorbate, Sodium Benzoate, Sodium Chloride, Lactic Acid, Disodium EDTA.